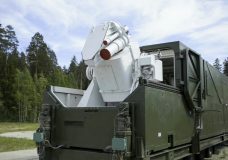 MOSCOW — Russia will develop land-based intermediate range missiles within two years, the nation’s defense minister said Tuesday, a statement that comes in response to the U.S. decision to abandon a key nuclear arms pact. MOSCOW — Russian President Vladimir Putin warned Wednesday that if the United States deploys intermediate-range missiles in Europe, Russia will have to target the nations that would host them. 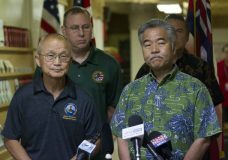 HONOLULU — A push alert that warned of an incoming ballistic missile to Hawaii and sent residents into a full-blown panic Saturday was a mistake, state emergency officials said. SEOUL, South Korea — North Korea on Wednesday ended its longest pause in missile tests this year with what appeared to be its most powerful version yet of an intercontinental ballistic missile meant to target the United States. NEW YORK — President Donald Trump signed an executive order Thursday aiming to tighten an economic noose around North Korea, days after he threatened to “totally destroy” the country if forced to defend the United States or its allies.